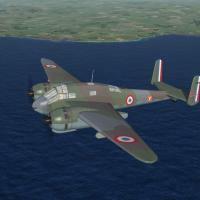 This pak contains a reissue of Veltro2K's WW2 French Air Force (Armée de l'Air) heavy fighter and ground attack aircraft. These are the complete aircraft, with various/sundry small changes. All skins remain in their original bmp format, with new DDS damage textures. 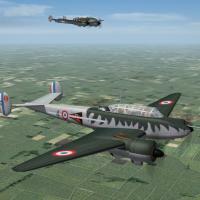 Decal randomization is set to "TRUE".Weapons (French guns and bombs) are included. Ini tweeks include (but not limited to) "new" flight models -which, as always need some further refinments by Experten, replacement/repainted/recalibrated cockpits, gunsights, and new AvHistory engine sounds.